Angel rotates while music plays. Tune: Ode To Joy, 10.5"H resin stone mix. Message: May Peace and Harmony Resonate throughout your life with resounding joy. 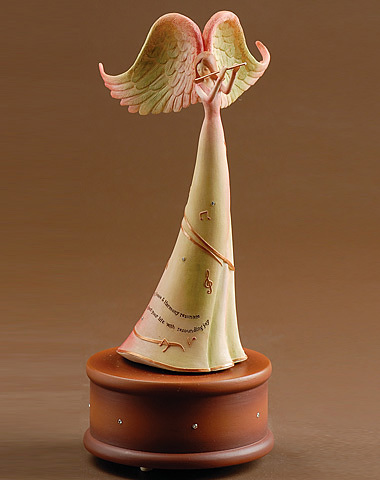 This angel is a musical that rotates while it plays the tune "Ode To Joy." Holding a flute in her hands, she represents the peace and harmony of music as a joyful expression.